The true beauty of cryptocurrency isn’t in the fact that it gives economic power back to the people, or its offering of unprecedented security and privacy, or that it is capable of accelerating transactional activity across the world. The true beauty of cryptocurrency is that it gives people a globally connected platform through which they can execute virtually any idea, requiring only two things: a fuel to keep things running (tokens) and the participation of a community. With those two elements alone, cryptocurrency gives an individual enormous power to make a positive difference in the world. It is true that a good coin needs a strong technical foundation and systematic processes to ensure its survival. Airy ideas alone will not launch a coin into philanthropic success; rigorous processes and a keen sense of how the cryptocurrency markets work are also necessary for a coin to thrive. The emergence of small businesses and the mobile app space both testify to the strength of human collaboration and inventiveness. In the same way, cryptocurrency can be seen as a platform through which philanthropic human endeavor may be carried out as it matures over time. In fact, there are some who are already doing so. In this article, we list 5 socially conscious cryptocurrency projects with teams that want to bring about positive change. 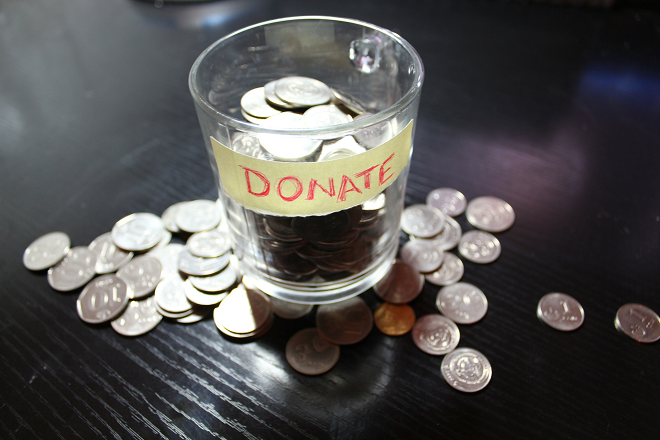 The internet has enabled social funding to take place on a large scale. Crowdfunding platforms like Kickstarter, StartSomeGood and Patreon have given opportunities to those without means to achieve their dreams while simultaneously letting them offer something in return. Alice.si is a social project funding platform that operates on blockchain technology. They’re aware that social projects often perish, resulting in millions of dollars lost or swindled. There’s a lack of trust between the masses and social projects because the former can’t be assured that their money will be put to good use and that the project will succeed. By using blockchain technology, Alice is hoping to remedy that. Built on the Ethereum blockchain, Alice is incentivizing NGOs, charities and socially-oriented endeavors to use the innate transparency of blockchain to convince contributors to make donations. Each project is measured by its goals and funders will be able to see how well a particular project is doing. This keeps the project team on its toes, and those that do well are rewarded with more funding. Alice also reinvests some of the fees it takes from token transactions back into the system, focusing on helping smaller struggling social organisation launch successful projects. They have already run successful projects like 15 Lives, which is a collaboration with the homeless shelter of St. Mungo’s in London to help rehabilitate the homeless and provide mental health care. Banking and financial services are still absent from many parts of the world. Without a lender and centralized authority, individuals in these regions lack the ability to finance themselves. ROSCAs have long been a popular method of financing within struggling communities, but even these require banks for a trustworthy process. Cryptocurrency changes that. All that you need for a cryptocurrency is an internet connection and a smartphone, two things that are widely available even in the some of the most remote parts of the world. Smart contracts provide protection for the transactions. 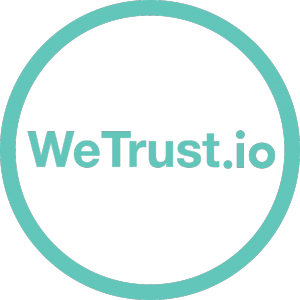 Trust Coin, developed by WeTrust, is a coin that hopes to facilitate self-financing among disadvantaged groups. In traditional banking-operated ROSCAs, individuals exit the lending process with more money, but the banks keep a sizable chunk of the interest. With WeTrust’s platform, all of the interest is kept within the ROSCA group, as no third party is involved. This allows a group to support itself. In fact, WeTrust has been marketing this to friend and family circles. They also have a reputation system in place to ensure that no one backs out of an obligation. We won’t go into detail about ROSCAs here, but if you’re interested in this idea of financing (which is useful to all, not just the disadvantaged), then do take a look at WeTrust. In a world where personal information is becoming increasingly digital in nature and identity theft is rising, there’s an urgent need to secure your data. Blockchain’s inherent properties are an ideal solution to this problem. 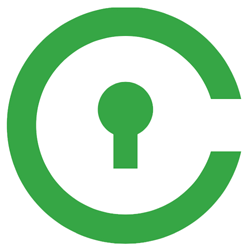 Civic wants to give users of the internet a safe way to access their accounts and data online. Through biometrics, the platform provides multi-factor authentication that doesn’t need a username, password or any third-party authentication system. The keys are generated by an external wallet which acts as a firewall between Civic and the user’s keys. Verified data is shared directly with customers, and at no point does Civic itself have access to the data. They run identity checks in real-time against validation services to prove that a user is indeed him or herself. This information is passed onto the partners who, once satisfied with the authenticity, provide the service to the user. Given the nature of the platform, it will only work with organizations that wish to partner with Civic. However, a collection of reputable organizations have already partnered with them, including Wikihow, Jaxx, Shapeshift.io, Doc.ai and BitGo. If you’ve ever tried to write something, you’ll know how hard that can be. If you’ve ever tried to publish something, then you’ll know that that’s even harder. Publishing has always been a challenge for writers. Publishing houses choose a select few for publication and many talented individuals are left in the dust. Even if a publishing deal is struck, writers receive a small amount for their work and the earnings are disproportionately in favour of the publisher. Authorship wishes to evenly distribute the earnings from publication evenly between writers, publishers and translators. On their platform, a writer can freely publish their book. Should a publisher show interest, they can choose to publicize the book as an eBook or make orders for printed versions. Whatever royalties are earned will be split evenly between them. If a translator chooses to translate the book, they’ll get their share too. Authorship will also monetize the sale of eBooks by bundling advertisements with them. This is an excellent way of giving writers a way to reach out to a broader community as well as offering financial support for a career choice that historically isn’t very profitable. When Satoshi Nakamoto created Bitcoin, one of his guiding principles was that of democracy. He wanted to democratize currency and give economic power back to the individual. We think that, wherever and whoever he is, he would respect the idea of bringing blockchain technology to voting systems. Whatever your political inclinations, it’s tough to argue against the idea that everyone deserves an equal say in the running of their country. This is democracy in a nutshell. Democracy Earth is attempting to create a borderless, peer-to-peer democracy for any kind of organization. They do this through their Sovereign platform, an open-source and decentralized governance platform. In the broader context, they are attempting to globalize political power in the same way finance has been globalized. Furthermore, they hope to prevent the territorialization of power by giving a variety of individuals control through an even distribution of opportunity. It’s good to see that serious work, beyond the regular use cases of exchange of value, is going on with cryptocurrency. It lends credibility to blockchain as a profoundly impactful technology and to cryptocurrency as a means of distributing power to individuals. The sooner we see cryptocurrency making changes in the world, the sooner governments and authorities will be able to accept that cryptocurrency is here to stay – with good reason. That’s what we’d all like to see! If you’ve heard of any altcoins that are trying to do good, please let us know in the comments.